Badly translated subtitles. A king whose kingdom grows on his body (and eventually overrules him). Postmodern architecture. 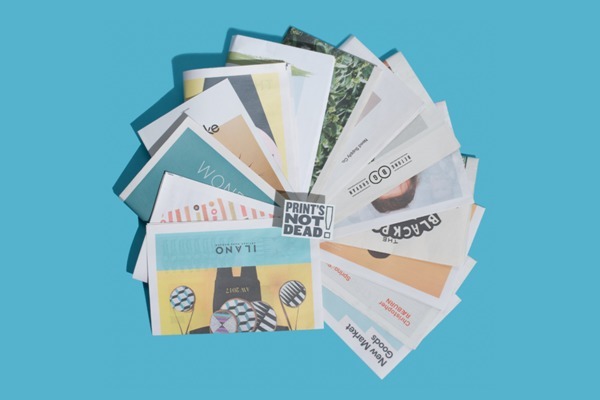 These are just a few of the things you’ll encounter in Umpteen Press’s first batch of publications – “a mixed bag” in the words of the Glasgow-based comics press. As anyone who’s run a stall at a festival knows, way more planning (and disaster control) goes on behind the scenes than meets the eye. 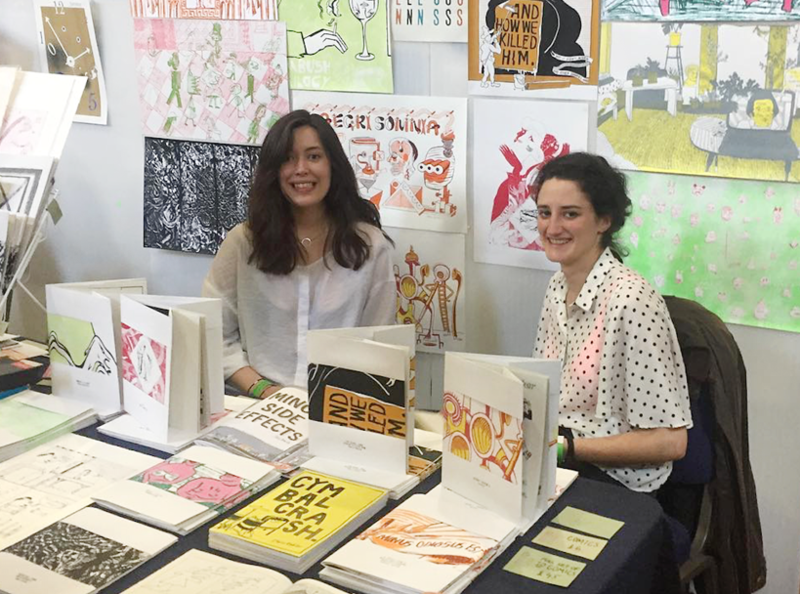 Here, Umpteen Press shares 5 lessons from their experience at ELCAF – what they did right, and what they wish they’d known beforehand. They tried shifting their books and prints around on the table to mix things up. “When you’re just sitting there with the table in front of you too much analysis happens – we tried a different set up pretty much every hour!” It’s unclear whether this helped with sales, but “visitors did seem more willing to flick through things when the tables were more mixed and messy." 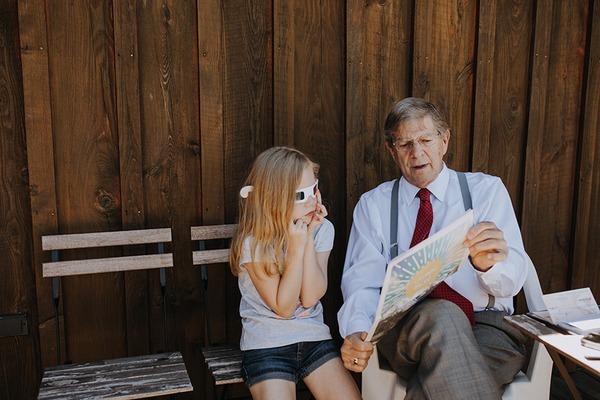 Umpteen Press kept production costs low by printing everything themselves – “if you deduct all the hours spent slaving with a bone folder in one hand and a rubber stamp in the other” – but they're still not sure if they were undercharging or overcharging for the books. “We wish we’d had a better idea of pricing, and what our products should cost." Producing a large volume of books, with all the folding, binding, collating and printing it requires, is a labour-intensive process. When 10 people are all trying to produce different books at the same time, it gets even more complicated. 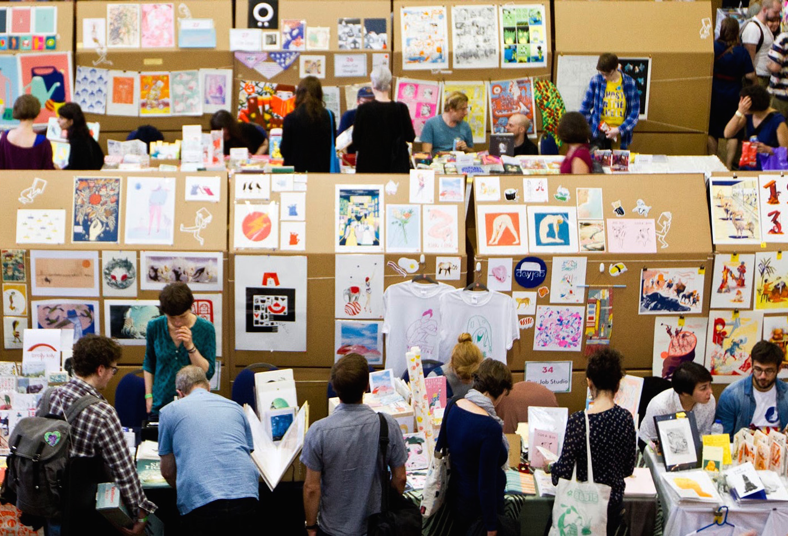 Everyone from Umpteen Press agrees that the best part of ELCAF was connecting with fellow artists and printers. “We met some great comic makers and it was cool to see smaller artist mixed in with bigger names – Nous Vous, Cachete Jack, Laura Callaghan – that we probably wouldn’t get to interact with or buy their work in Glasgow,” they tell us. 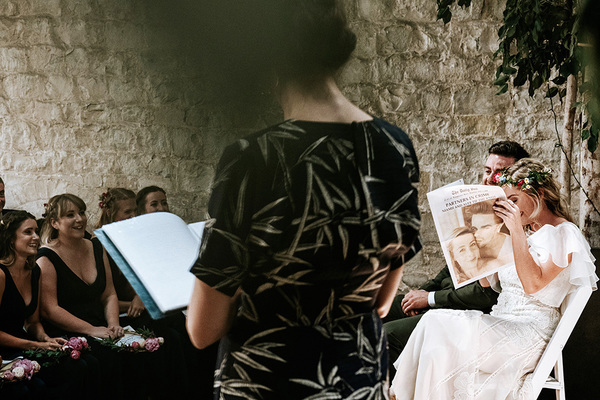 Umpteen Press is Marc Baines, Mari Campistron, Rob Churm, William Goldsmith, Chris Kohler, Tess Mackenzie, Peter Mckenna, Jessica Taylor, Nathaniel Walpole, Gregor Wright and Hannah Nixon – who is part of our support team when she’s not making comics! Photo at the top of this post via ELCAF. It's Illustration Week at Newspaper Club! See also: A Broadsheet for Quentin Blake's Larger-Than-Life Drawings, How 7 Illustrators Use Newsprint Portfolios and Interview with Arist Koak About Her First Solo Exhibition, Bathers.